Our latest eBay pick is an interesting import. Badged as a Dodge Colt GS Coupe, it’s actually a Mitsubishi Galant Coupe. Sounds strange doesn’t it. In 1971 Chrysler purchased a stake in Mitsubishi which gave them access to the Japanese marques model inventory. 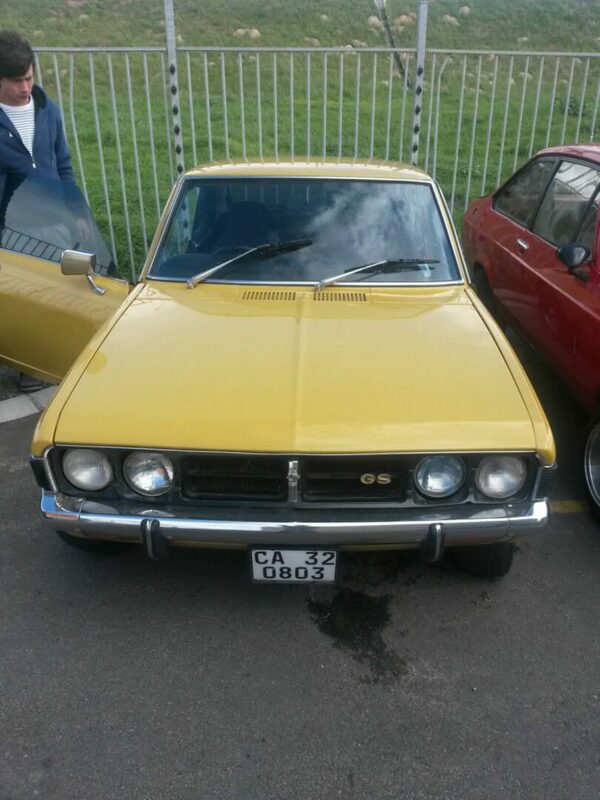 As a result Chrysler began importing the Galant to the US and rebadged it as the Dodge Colt. It was also sold in New Zealand. 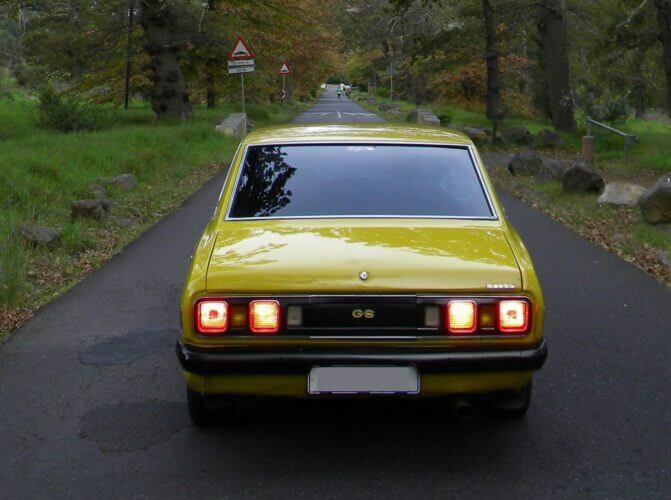 The Colt was unique in that it was the first Mitsubishi car to be pillar less and have all glass. The straight four engines ranged from 1.3ltr to 1.4ltr, 1.6ltr and 1.7ltr and were SOHC in design with aluminium heads. 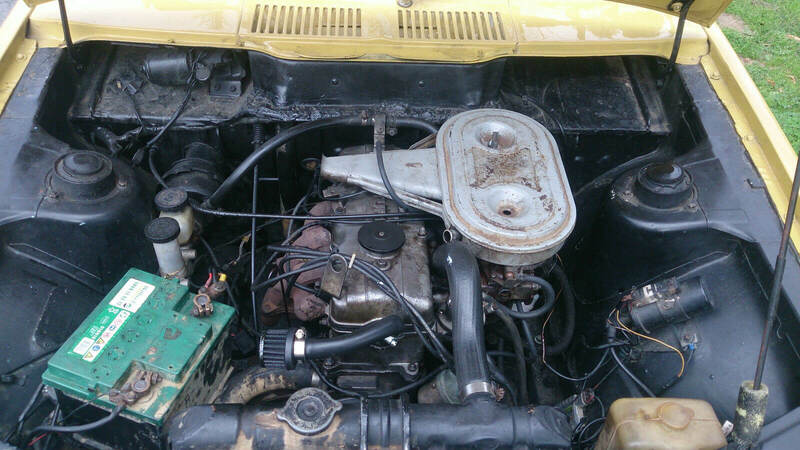 Power ranged from 95BHP to 105BHP, depending on what carb setup was ordered. The transmission was a four speed manual with power sent to the rear. A three speed automatic was also available as an option. Disc brakes with fitted to the front with drums on the rear. Production of the first generation model last from 1971 to 1973. 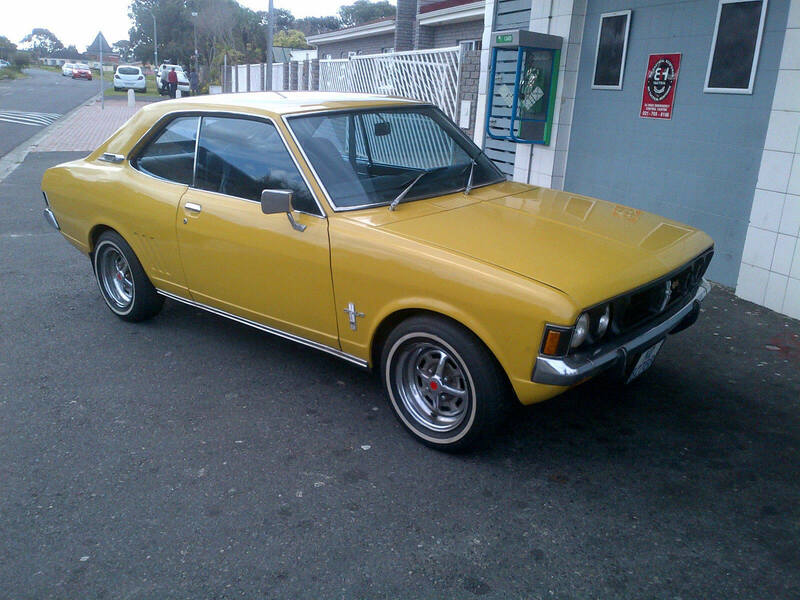 The car on offer is a very smart looking 1973 Dodge Colt GS. 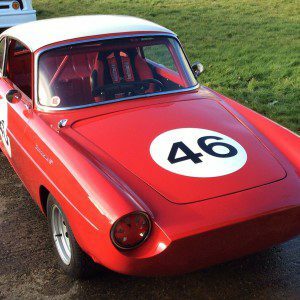 Details are fairly sparse but the listing does state it has a 1.6ltr engine with twin carbs and a five speed manual transmission. It’s possible this transmission was added during the cars life and it should make for better cruising on long distance trips. The seller states that it has a full MOT, log book and age related plate. Apart from that little other information is supplied. The clock shows 64,592 km but it is not mentioned whether this is genuine or not. Given the condition it may well be. Yup we like this one. Would be a fun classic to own. We also like the twin headlights. The rear is very tidy. As we said earlier the seats look like replacements and look virtually new. Some might like the Momo wheel but we'd prefer a stock Mitsubishi one. It would be interesting to see what subtle tuning could be done to this little engine. This is a very smart looking Dodge Colt GS coupe. We’ve always had a thing for pillar less coupes and this one ticks all the boxes for us. It looks to be a very clean and tidy compact 2+2. The orange paint suits it as do the alloys. The interior looks clean and we suspect the seats have come from another car. 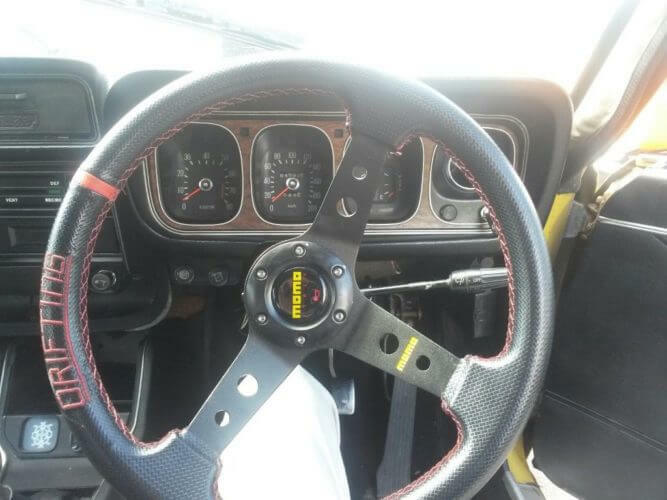 A Momo Drifting steering wheel has been fitted. We’d probably go for something a bit more understated. The engine bay doesn’t look like it has been messed with and it looks like a new oil breather pipe was added recently. As usual a bit of detailing here wouldn’t go amiss. We think this is a very nice looking sporty coupe. 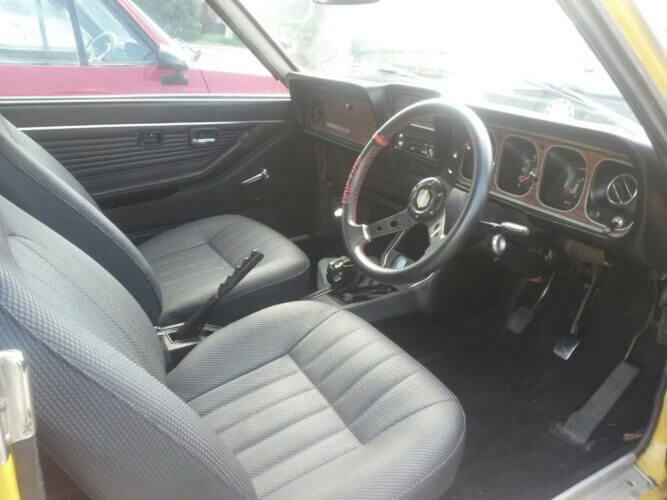 If it is as clean and rust free as the seller describes, this Dodge Colt GS could make an interesting and inexpensive tax free classic. 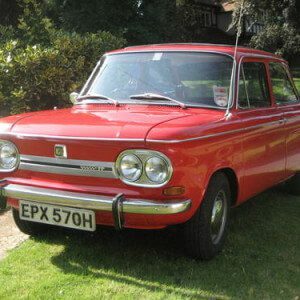 The car is located in Whitstable UK and the asking price is £5995.